a little goes a real long way so the price is completely justifiable! 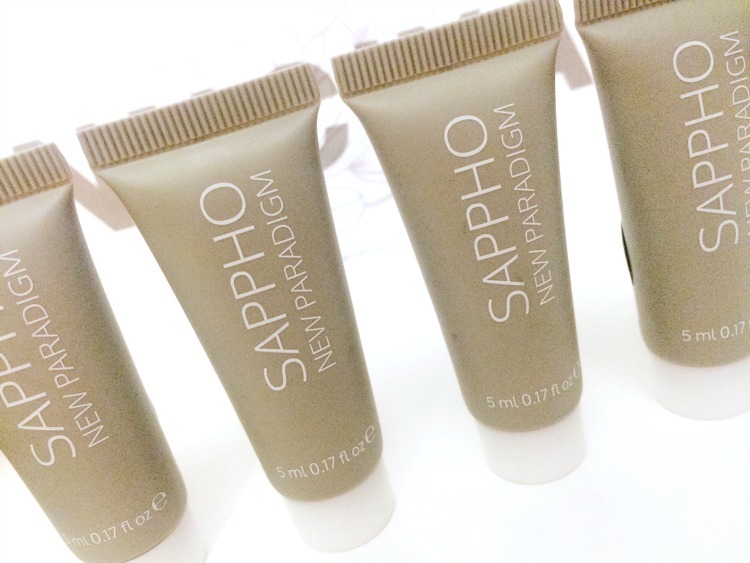 Sappho has had a little make over, with new chic packaging that I much prefer to the original brown bottle. Sappho have also changed the ingredients to the essential liquid foundation, I wish I'd bought a sample of this one to see how it compares to the old formula. Included in the new range is the paradigm foundation which offers 25% more coverage than the originals, paradigm pressed powder, paradigm pressed blush, paradigm eye shadow, brow pomade, shimmer, concealer, setting powder, primer and a CC cream. Naturally I would love to try it all but unfortunately one can't justify spending that much at once near Christmas! However I purchased a few samples that I was really excited about so that I could try before I buy and review them for you guys. Available in 5 shades. 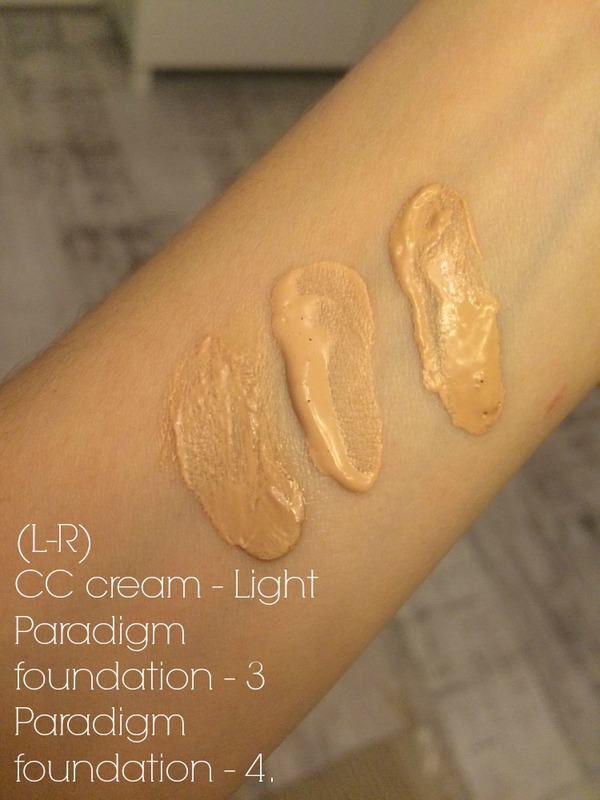 I wasn't to sure what a CC cream was I haven't used one before so thought I'd take the opportunity to try this one seeing as I love the foundation. I thought it would be like a tinted moisturiser however it's a little thicker, it feels nice on the skin. Helped cover my dark under eyes, veins and redness. I thought maybe I could use it as a concealer but it didn't help cover blemishes it just helped even the skin tone. It can be worn on its own or beneath foundation. I probably won't purchase the full size purely because I require more coverage. This is a great product for those who just want light coverage to even everything out. I've been wanting to try another primer as I've only ever used 100% pure luminous primer. I decided to go for the (dry to medium skin) as I thought it would help hydrate and offer a dewy finish. It is great make up primer however it didn't offer my skin any luminosity. This would be ideal for someone that prefers a matte finish as opposed to someone like me who prefers to look a little shiny! Available in 12 shades. Numbered 1-12. I purchased shades 3 and 4, which are said to be similar to LEISHA and RACHEL from the essential liquid foundation, I have shade MIA from that range and its too pink so I decided I'd try these two as it says they have yellow undertones. Turn's out I'm pretty darn yellow, shade 3 is still to pinky for me and shade 4 is almost perfect however it's slightly to dark. So I think I'm going to just purchase shade 1 which is said to have yellow undertones and I think because it'll be a little too light for my skin tone it'll suit me better and I can warm up the rest of my face with some bronze so I don't look to ghostly. Over all I wish the new range was more yellow and it would be great to see more dark shades however I haven't swatched the whole range to see how dark it goes. As for coverage it's AMAZING no need for concealer as this conceals everything I looked absolutely flawless. The formulation is slightly thicker than the original liquid foundation but it doesn't feel heavy on the skin. It had great staying power, I would definitely recommend this foundation if you want full coverage. 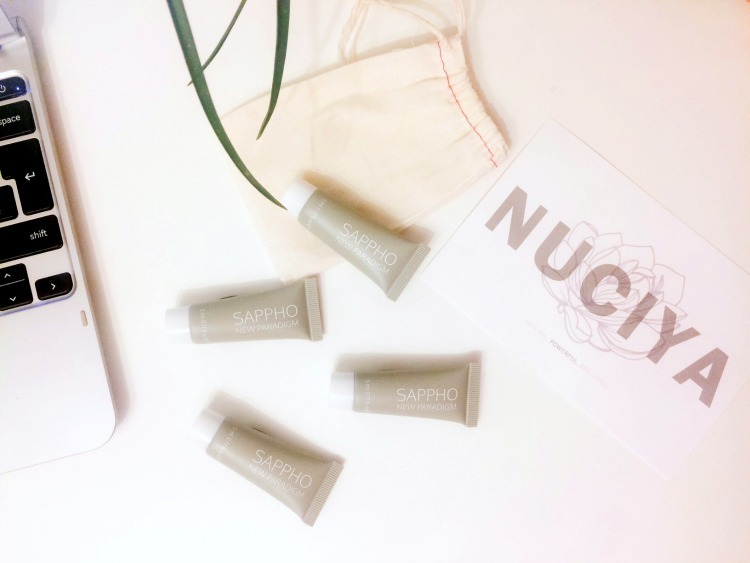 Will you be trying anything from the new Sappho range? I've tried Sappho for the first time this year. I have been really impressed with their foundation and mascara. Sounds like buying the samples was a smart move from you! I'm put off buying from the US because of shipping and tax costs, so am hoping that we see it stocked in the UK soon!